Non-communicable diseases (NCDs) are the leading cause of preventable ill health, related disability and premature death in the world today. 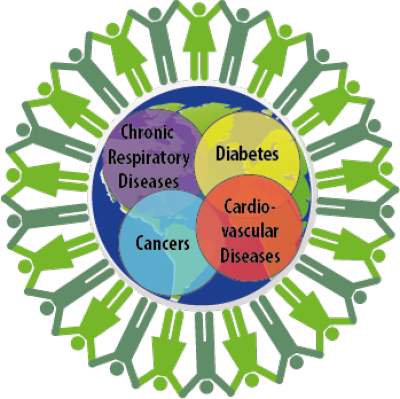 NCDs are chronic diseases that cannot pass from one person to another. They develop slowly over time, and generally progress slowly. These diseases account for 63% of deaths world-wide, and 75% of deaths in the Western Pacific region. Their impact is disproportionately high in lower socio-economic groups and low- and middle-income countries. An estimated 80% of the premature deaths caused by heart disease, stroke and diabetes could be postponed through changes to behaviours throughout the life course surrounding the four major causative risk factors of tobacco use, unhealthy diet, physical inactivity and harmful use of alcohol. 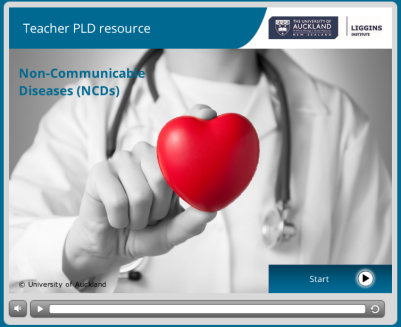 This overview is designed to support teachers who are using the NCD epidemic as a context for learning in their classrooms.